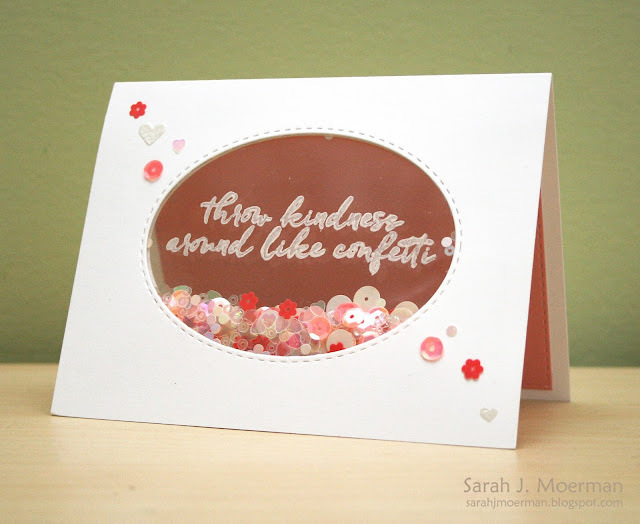 I'm stopping by to share a card I made using one of the wonderful sentiments from the new Hero Arts Acts of Kindness Stamp Set. This stamp set is a colaboration between Jennifer McGuire and Hero Arts, created to support Jennifer's Share Handmade Kindness Challenge. You can find more details about it HERE. My personal goal is to send out 30 cards this month, one for each day of November. I love the visual image I get of 'throwing kindness around like confetti'...something fun that you do without overthinking it and without being stingy. Who only throws a few pieces of confetti or thinks hard about where it will land? I know I for one tend to overthink what people will think of me. Will they think what I'm doing is weird? Will they think my card is ugly? Will my open heart and honest gratitude be minimized or rejected or thought silly? That's why I like the visual image I get with this sentiment. Don't over think it. Just do it! For this card, I used one of the Simple Stories 4 x 6 Pocket Pages cut to size and stamped the sentiment from Hero Arts Acts of Kindness Stamp Set using Stazon Cotton White Ink. Once dry, I added some of Lucy Abram's beautiful Flamingo Sparkly Shaker Selections and sealed it with Be Creative Tape 5mm Double Sided Tape. (I had planned on using the Project Life Fuse Tool but I had a defective one. American Crafts is sending me a replacement. Yay!) I sandwiched my little shaker pouch between my diecut card front window and another piece of cardstock with the same window cut out of it. I then adhered a diecut piece of pink cardstock inside the back of the card. Finally, I added some heat embossed hearts and sequins to the card front. I hope you'll think about throwing some kindness around this month....and I'm hoping it'll start some good habits in my own life. 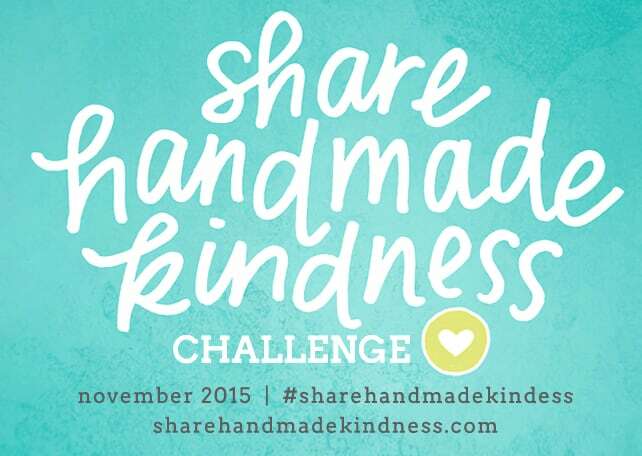 :) Remember to follow along over at Jennifer McGuire's blog this month as she challenges us to Share Handmade Kindness. Love your card and I agree with your post. I don’t send out very many cards without an occasion or reason. Jennifer has inspired me to start doing that more often. i love this and your words. and you! This is such an adorable card...love the sentiment! Can't wait to get my stamps I ordered them yesterday! What a sweet shaker card, Sarah! I love the sentiment and think it's perfect for something like this. You have a heart of gold and I'm sure you'll make many people smile by doing this act of kindness! !